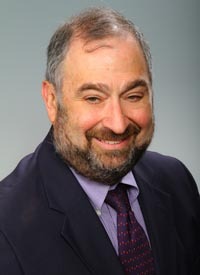 Marc H. Pfeiffer retired in 2012 from a 37-year career in New Jersey local government administration, having served as a municipal administrator in several municipalities, and 26 years of service in the State’s local government oversight agency, the Division of Local Government Services. At DLGS he served as Deputy Director for 14 years, and periodically as Acting Director. Marc has broad experience in many areas of local government policy and administration, including specific expertise in areas such as finance and property taxation, public procurement, shared services and consolidation, technology, energy, labor relations, and general government administration. He also has deep experience in the legislative process and as a regulatory officer. He is currently engaged in research concerning the use of technology in local government. In addition to participating in Bloustein Local, Marc makes his extensive government experience available as a guest lecturer and other collaborative efforts. He is also assisting the Rutgers School of Public Affairs and Administration with the State’s Certified Public Manager Program in curriculum development and instruction.